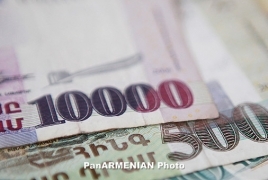 PanARMENIAN.Net - Armenia’s exports amounted to $2․412 billion in 2018, up by 7.8% against the previous year, the National Statistical Service reveals. Goods and services shipped abroad first surpassed the $2 billion threshold in 2017, when exports totaled $2.242. In 2018, however, the country set a new record by selling even more products overseas. Imports, meanwhile, grew by 21.1% to top $4.963 billion in the reporting period.